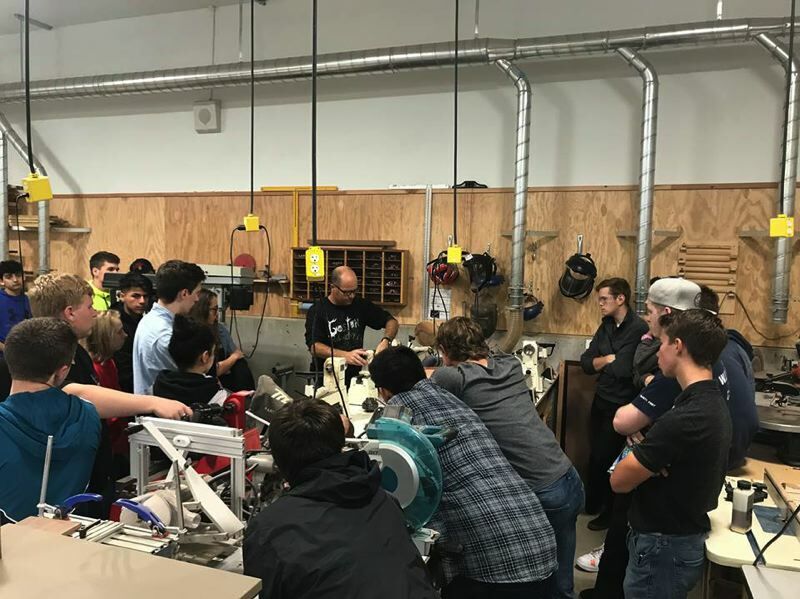 Students from St. Helens and Gaston high schools look on as Wade Sims, a cabinetry and manufacturing teacher from Gaston, shows them how to use various tools to install cabinets. The two high schools are partnering to complete work on a St. Helens home renovation. Students in the renovation and remodeling class at SHHS began working with the Gaston students last fall.